2017 is here! January brings us the first set of free games for PlayStation Plus and Xbox Live Gold Xbox Live vs. PlayStation Plus: What Do You Get With Each? Xbox Live vs. PlayStation Plus: What Do You Get With Each? If you're got a PS4 or Xbox One, you've probably thought about subscribing to PlayStation Plus or Xbox Live Gold. Let's see what they offer gamers for the price. Read More subscribers for the year. Let’s see what gamers will enjoy this month. First, on PS4, we have Day of the Tentacle Remastered, which is an enhanced version of the 1993 classic point and click game. The other PS4 title is This War of Mine: The Little Ones, where you try to survive as a civilian in war time from the perspective of a child. PS3 owners receive Blazerush, a top-down racing game with plenty of weapons and local multiplayer. The other PS3 title is The Swindle, a steampunk-inspired game where you must hack into randomly generated buildings’ security systems to rob all their cash. Finally, Vita players will get Azkend 2, a match-three puzzle game, and Titan Souls, an action adventure game that’s made difficult since you can only take one hit and only have one arrow. Per usual, Xbox One owners can enjoy the Xbox 360 titles via backwards compatibility. Xbox One players will receive World of Van Helsing: Deathtrap, a tower-defense game with action RPG elements. The other XBO title is Killer Instinct Season 2 Ultra Edition, a content pack for the 2013 fighting game. On Xbox One, The Cave, a puzzle-platformer adventure game from the creator of Monkey Island, is free. The other title is Rayman Origins, the phenomenal reboot of the classic 2D platformer franchise Top 20 Platformer Games Of All Time Top 20 Platformer Games Of All Time With thousands of video games, where do you start when you want to play the best? Here's our definitive guide on the best 20 platformers of all time. Read More . Don’t have a console yet? Find out why now is the best time to buy one 5 Reasons to Buy a Game Console Right Now 5 Reasons to Buy a Game Console Right Now Thinking about buying a gaming console? You're in luck, because now is the perfect time to buy one! 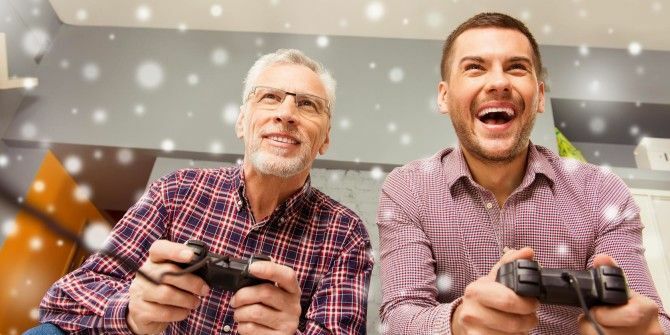 Here's why you should look into the new consoles this holiday season. Read More . Are you excited for this month’s free games? Let us know which ones you’re looking forward to down in the comments!